A little over a week ago we went on a trip to the beautiful city of Paris for three days. 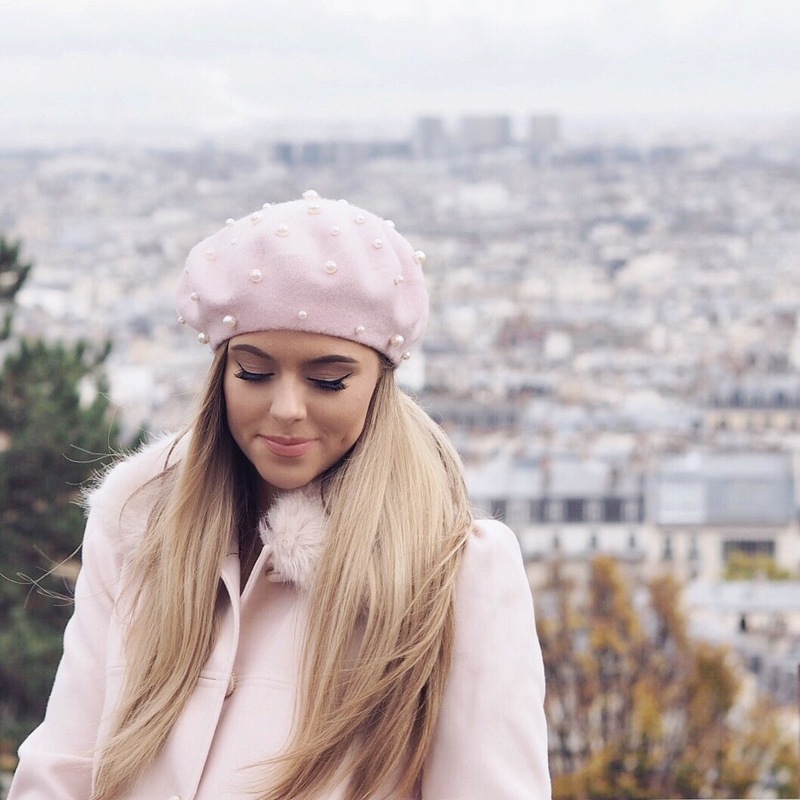 We paid a visit to a beautiful Marie Antoinette tea room for cake and tea, and we ate chocolate crepes as we looked upon The Eiffel Tower sparkling at night, so I thought I’d share some snaps of all the pretty places we went to! 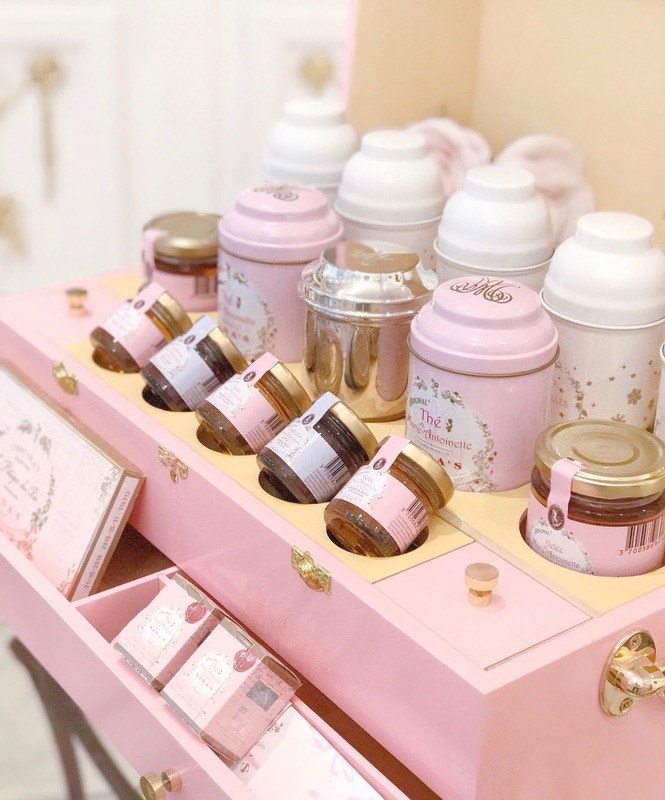 We visited the most adorable Marie Antoinette themed tea room called Nina’s, which I had on my little list of places to go. 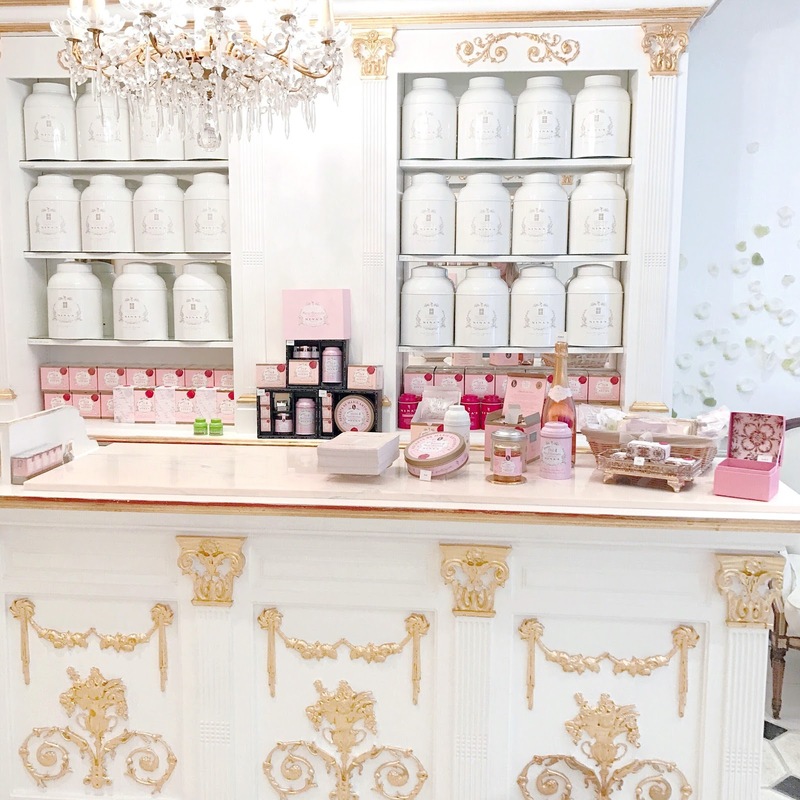 The luxe French decor looked like something out of a fairytale, with elaborate white and gold walls and cabinets, chandeliers, pretty Parisian tables and chairs, ornate gold mirrors and even rose petals decorating the walls. 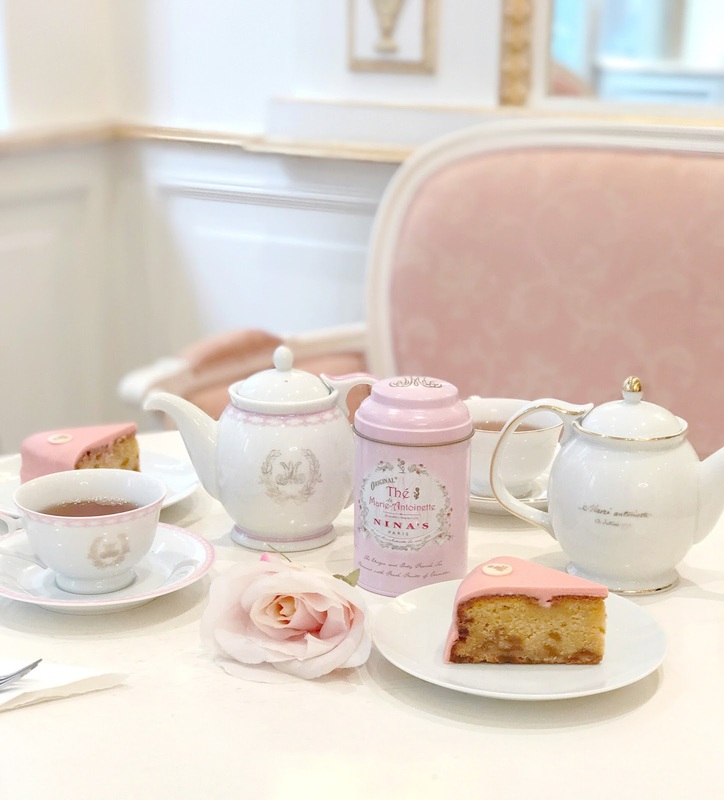 We had pink pound cake and rose tea in the loveliest pink and white tea sets, and I took home a Marie Antoinette loose tea, housed in a cute pink tin and flavoured with rose petals and fresh fruits from the King’s kitchen garden in Versailles! 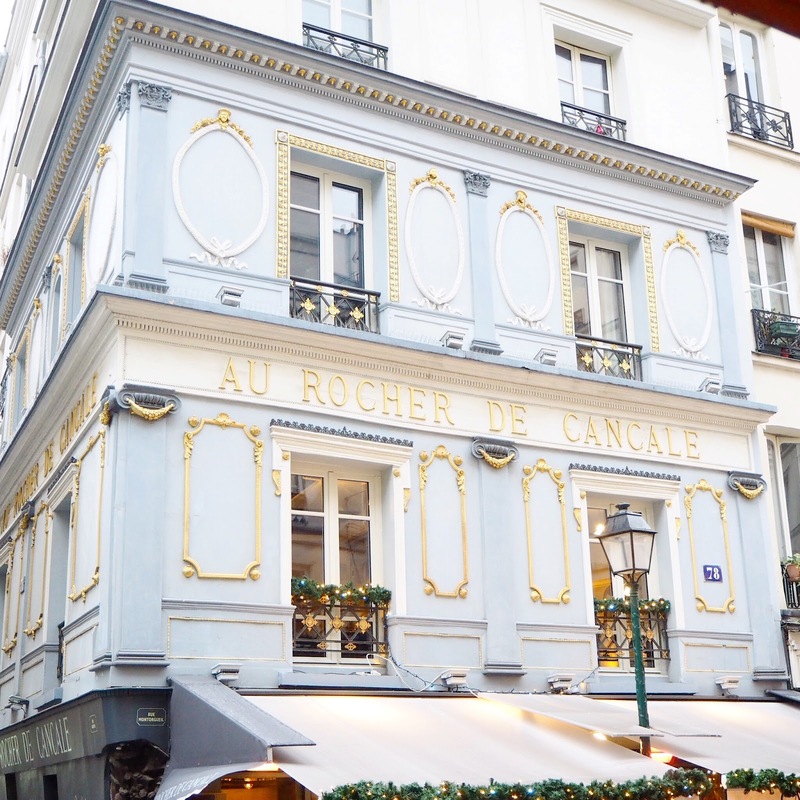 This powder blue cafe on Rue Montorgueil was so dreamy. I love the ornate blue and white features, even down to the little ribbon details near the top! Its balconies and awnings were adorned with green Christmas garlands and twinkly fairy lights which made it even more special. 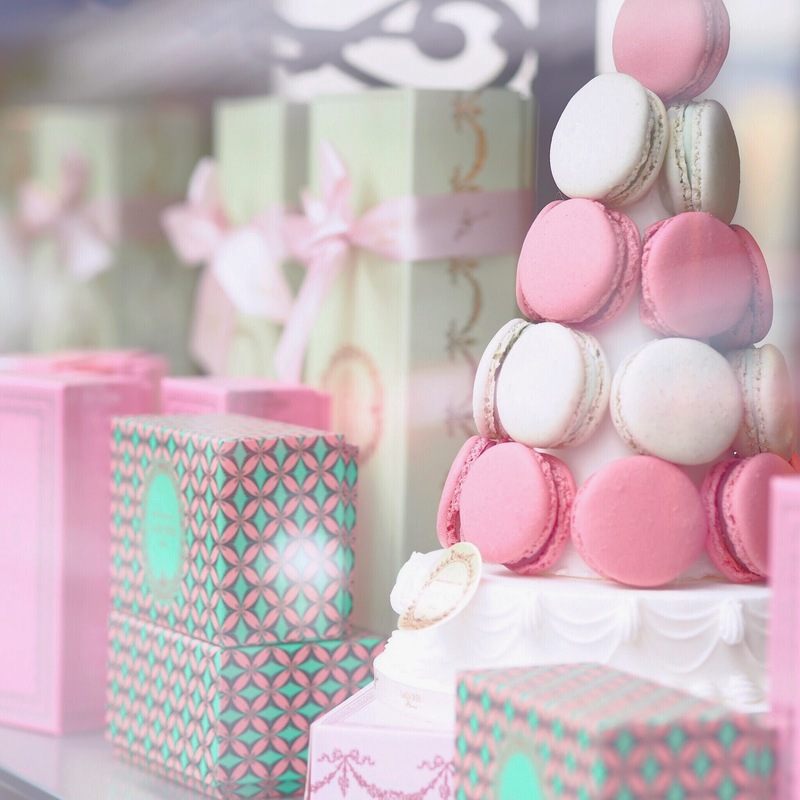 No one does shop front windows as pretty as Laduree! 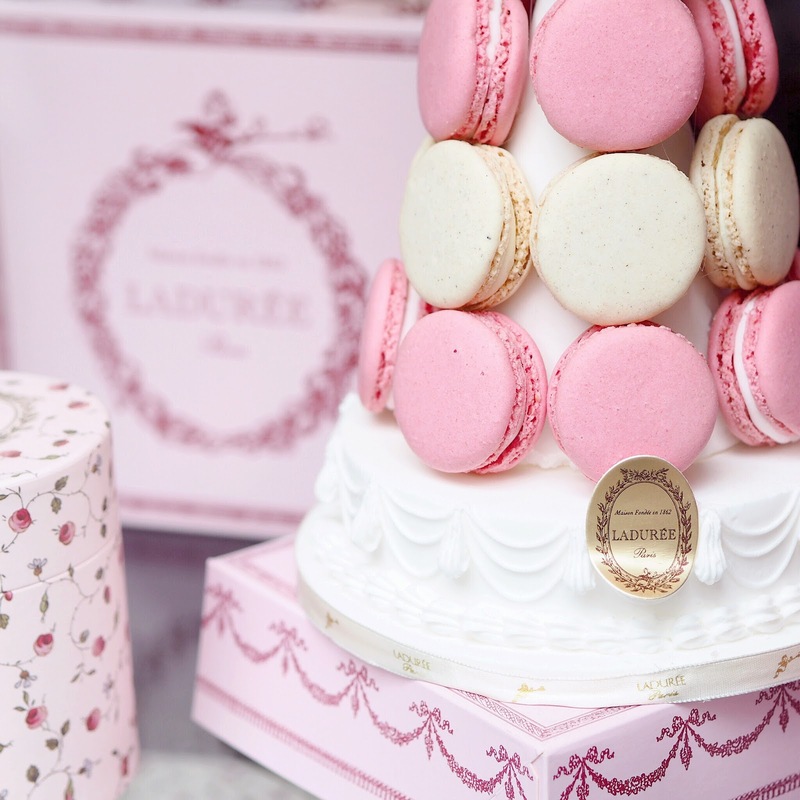 The beautiful towers of pastel macarons and pretty packaging is enough to lure me in and make me want to buy all of the pastries in the hundreds… We did visit a Laduree restaurant but the lighting inside wasn’t great, so being the fussy pants I am I wasn’t happy with any of the photos I took, (although I did get video footage of it, see below for the vlog!). I had a Rose Religieuse which is a choux pastry topped with pink icing and filled with rose mousse, fresh strawberries and strawberry jam! Heavenly. 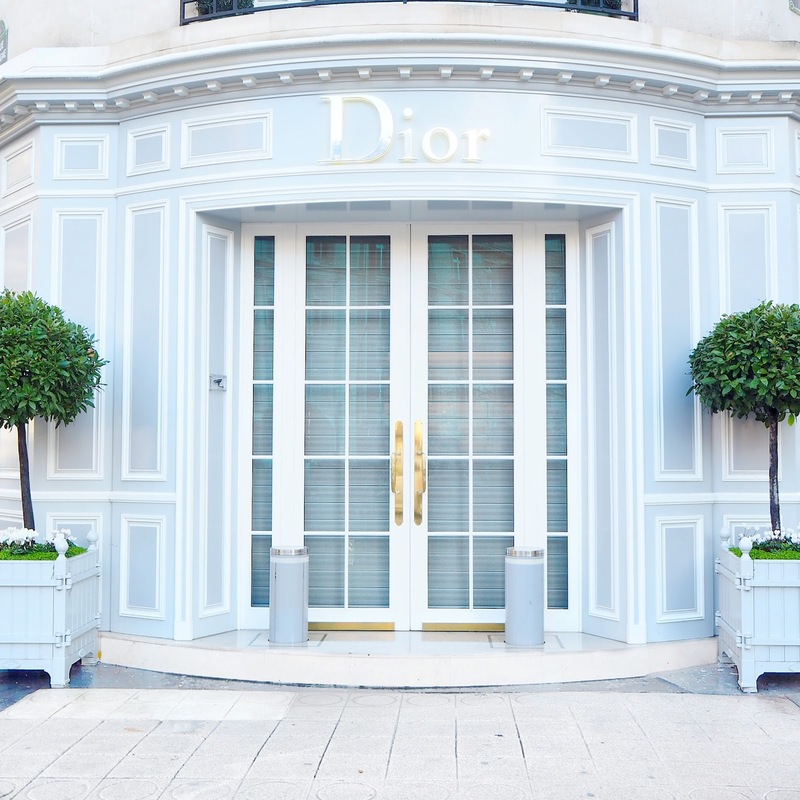 I certainly couldn’t just pass by this beautiful little Dior boutique near the Champ-Elysses without snapping a photo. It’s a Cinderella baby blue dream! 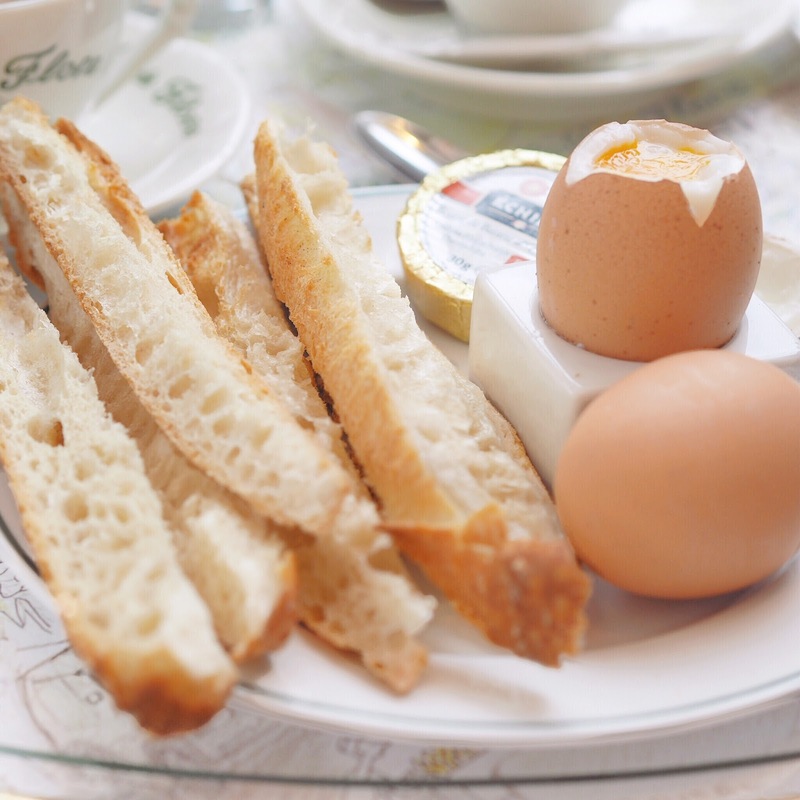 On one of our days we popped to a cute little cafe called Cafe de Flore in Saint Germain, for a late breakfast consisting of soft dippy eggs, toast and a super rich but yummy hot chocolate. The bread in Paris is so so good, but I’m sure you already know that! 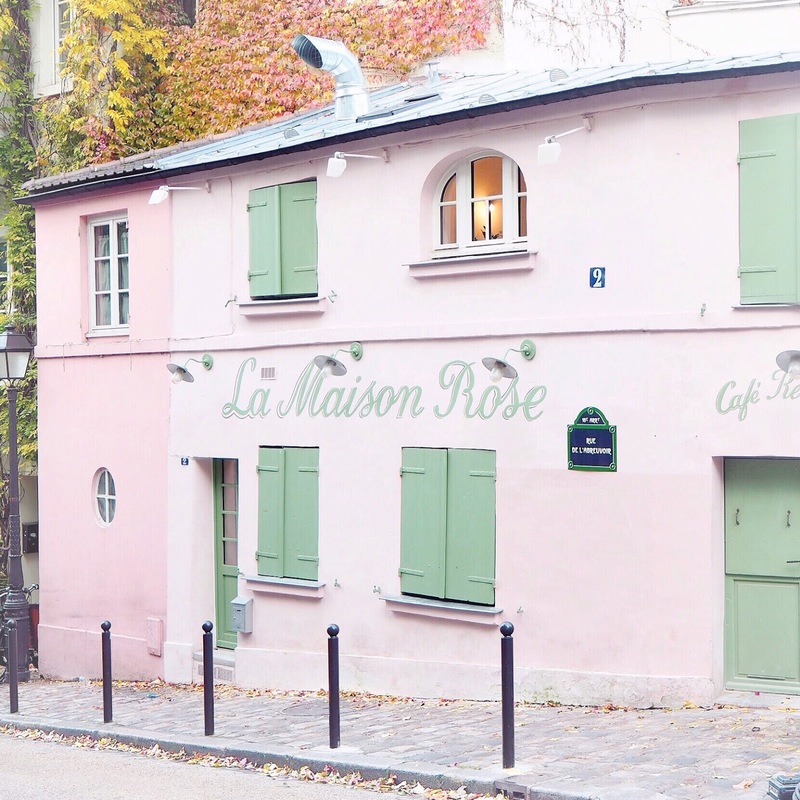 I hunted down this little pink painted restaurant named La Maison Rose, as anything pastel pink I needed to see, right?! I took a few quick pictures but what you don’t see is the huge film crew behind me setting up to film on the street! The view from the Sacre-Coeur in Monmarte is so incredibly beautiful, you can see a complete panoramic skyline of the city, and although I have been once before it’s definitely worth the revisit as the views are just breathtaking. 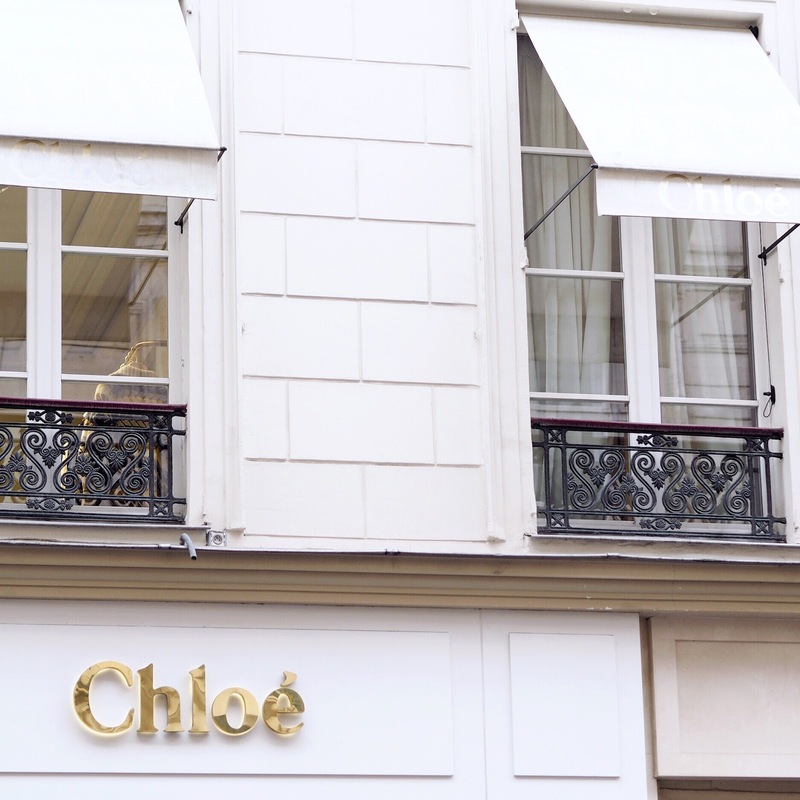 The pretty boutiques that line Saint Honore is 100% where you’d find Blair Waldorf, laden with designer shopping bags, when she visits Paris! 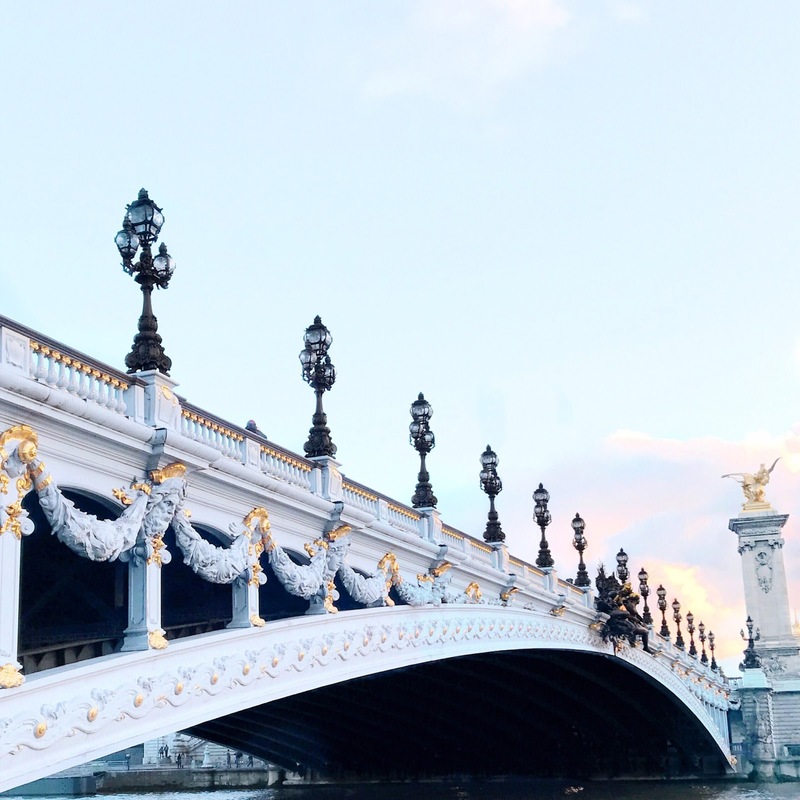 How dreamy is the Pont Alexandre III that spans the River Seine?! Those pretty pastel blues lavishly decorated with gold accents and intricate details are utterly gorgeous! 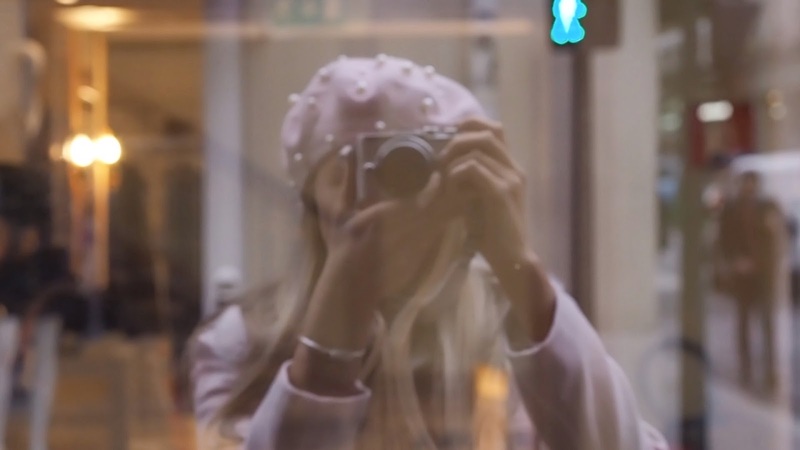 As I mentioned earlier I also vlogged my trip, so do have a little peek at that below if you fancy it!